Bharat's recent posters depict Salman Khan in a series of looks that the actor has donned for the period drama. 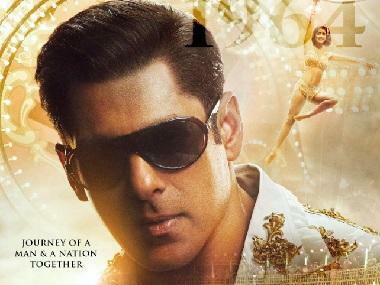 The new poster sees Salman as a young man in a miner's helmet and a black moustache. Katrina Kaif, Salman's leading lady in the film, is seen sporting a beige shirt, khakee pants and a thick, brown belt. The year 1970 appears in the faded background, probably indicating a narrative placed during the era. The Ali Abbas Zafar directorial is an official remake of the Korean film An Ode to My Father. Bharat will span five decades, with Salman sporting five different looks. The previous posters have also depicted the various avatars of Salman. The film will be Khan and Zafar's third collaboration after Sultan and Tiger Zinda Hai. Actors Disha Patani, Tabu, Jackie Shroff and Sunil Grover will be seen in pivotal roles in the film. 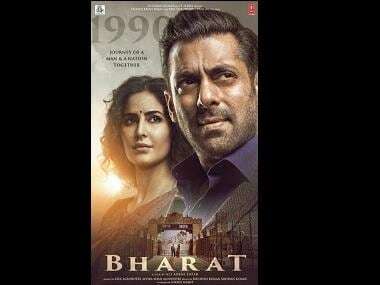 The trailer of Bharat will be attached to Avengers: Endgame (26 April) across the globe, co-producer Nikhil Namit had confirmed to Mid-Day. Produced by Atul Agnihotri's Reel Life Production Pvt Ltd and Bhushan Kumar's T-Series, the film is scheduled to release in cinemas this Eid on 5 June.